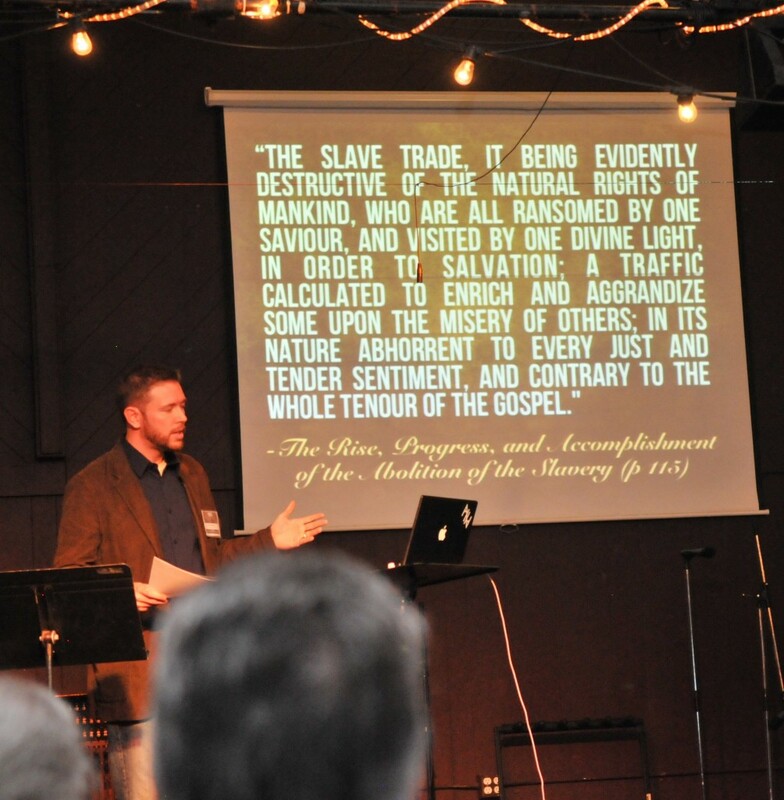 At the heart of all that we do as abolitionists, as the people of God, is the Gospel call and cry, “Repent for the Kingdom of God is at Hand!” What drives abolitionism is a desire to do justice, love mercy, and walk humbly with our God (Micah 6:8). We seek to bring justice to the fatherless and help to the helpless (Isaiah 1: 16-17). Our desire is to consistently practice what the New Testament calls pure and undefiled religion: to look after the orphaned and widows in their affliction, and to keep ourselves unstained by the world (James 1:27). 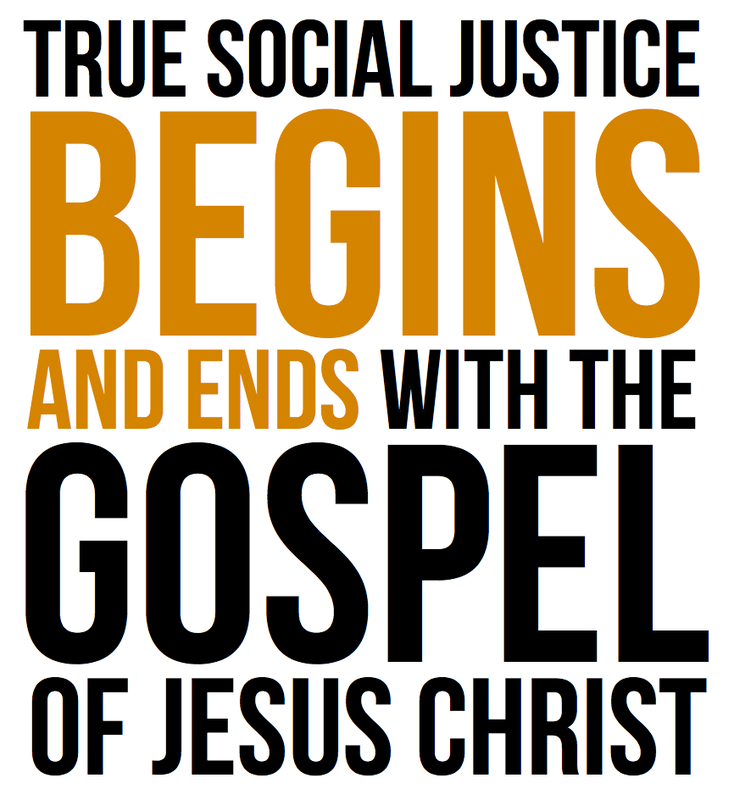 A common objection from many within the institutional Protestant church today when confronted with our message of abolition is to ”keep the main thing the main thing.” They often claim that the work of the church is to fulfill the Great Commission, plain and simple and not to muddle about with “social justice” causes. The result of such reasoning is an abundance of professedly “pro-life” churches that spend substantially more time and money running programs, paying the salaries of professional clergy, and maintaining landscaping, than they do exercising true religion (Jas. 1:27). With few exceptions the visible and professing church of Jesus Christ in America currently does little more than offer token expressions of opposition to the greatest and most dehumanizing evil of our age. A frequent justification of this abandonment of true religion is to hide behind the supposed “work of the Great Commission.” But a faithful examination of the Scriptures will confirm that just as faith without works is dead, so also is a “Great Commission” without the work of abolition. The Great Commission includes the work of evangelism and discipleship. This discipleship entails teaching the evangelized to obey all that Christ has commanded. And what has Christ commanded? A number of things, but if we must begin somewhere, the commandments that Christ identified as the two greatest, upon which depend all the Law and the Prophets, commend themselves to us. Certainly, if Jesus has anything in mind regarding which commandments should be taught, He has these greatest in mind. Throughout the Gospels, we see that our obligation to love our neighbor was one of the main emphases of Christ’s teaching ministry (Matt. 7:12, Luke 10:25-37, John 15:12-14,Matt. 25:31-46). So, if as part of the Great Commission, Christ commands that these two be taught, the question then arises: what do they entail? If you love your neighbor as yourself, will you stand idly by while he is legally dismembered, even though he has committed no crime, and wronged no one? Will you stand idly by while two of your neighbors (in this country alone) are so butchered every minute? While 3500 neighbors are ripped limb from limb every day? Or will you content yourself with token expressions of opposition to this great evil? If you simply listen to one “sanctity of life” sermon a year, of what benefit is that? If you are a Christian, do you not already know that life is sacred? Have you not read that human beings are created in the image of God (Gen 1:27)? Are you so dull of mind and spirit that you need to be reminded once a year that murdering children is wrong? Do you not rather need to be exhorted to action? Where is the frequent and thunderous call from the pulpits to rise up as the Body of Christ and put an end to this great evil? Where is the resounding call to love justice, correct oppression, and take up the cause of the fatherless (Isa. 1:17)? Where is the rebuke of the carnal, the slothful, and the worldly weekly pew-fillers? Where is the call for such to repent of their sins and begin the exercise of true religion (Jas. 1:27)? The silence of our pulpits is so deafening that it could shatter every stained glass window, flip every pew, and wake every dead man from his grave. You, who claim to follow Christ – do you love your neighbor as you love yourself? If you were in the place of your preborn neighbor, being led to the slaughter, would you find what you do for them sufficient? Is simply “voting pro-life,” attending pro-life rallies, listening to sanctity of life sermons, and occasionally donating to crisis pregnancy centers the sum of loving your imperiled preborn neighbor as you love yourself? If the scalpel were even now at your throat, would you truly feel loved by those who do nothing more than warm the pews of the churches to prevent your death? If we love our preborn neighbors as we love ourselves, then we will not rest until abortion is abolished. We will not cease to agitate our culture and assist our neighbors until the blood of the most helpless and innocent members of our society ceases to flow as a river through this land. If we love our neighbors as we love ourselves – that is, if we actually do more than pay lip service to the commandments of Christ – then we can do no less. And if we actually seek to do something more than make a complete and total mockery of the Great Commission, then we will teach and exhort our brothers and sisters in Christ to do the same. As part of the Great Commission, Christ commands us to teach all that He has commanded. If you think that you are obeying Christ by “keeping the main thing the main thing,” but do not teach and exhort others to love their preborn neighbors as they love themselves and save them from the slaughter, you are not teaching them to observe the second greatest commandment. And if you are not teaching them to observe this commandment, then you are not teaching them to obey all that Christ commanded. And if you are not teaching them to obey all that Christ commanded, you are not being faithful to the work of the Great Commission. If your version of fulfilling the Great Commission does not result in people repenting of their sins and turning to obey the command of Christ to love their preborn neighbors as they love themselves, then you might be working to fulfill the Mediocre Commission or maybe the “I’ll-Spend-My-Life-Propagating-The-Kind-Of-Faith-That-Can-Exist-Without-Works” Commission. But certainly not the Great Commission. A “Great Commission” that does not produce the work of abolition is the dead commission of a workless faith. If we obey the greatest commandment and love God with all of our heart, soul, mind and strength (Mk. 12:30), then what will be our response to the legal dismemberment of the most innocent bearers of God’s image in our country, not once but 3500 times a day? Are you willing to fight as hard to abolish the legalized slaughter of human children in your country as you are to fight against alcohol consumption in your denomination? Are you willing to oppose the practice of human abortion with the same tenacity with which you oppose theological liberals? Are you willing to fight even harder than that? If you are willing to spend thousands of hours toiling to fight for a particular doctrine and ensconce it as a denominational standard, should you not be willing to spend hundreds of thousands of hours toiling to abolish a practice that violently and ruthlessly desecrates the image of the God you claim to love, serve, and worship? You cannot claim to love God while offering only token expressions of opposition to entrenched and celebrated evil against his very image. You cannot claim to be faithfully obeying the Great Commission, if those you convert and disciple have little desire to obey the greatest commands of Christ in the most crucial arenas. Examine yourself, lest you find yourself travelling over land and sea to make converts that are twice as much the sons of hell as yourself. 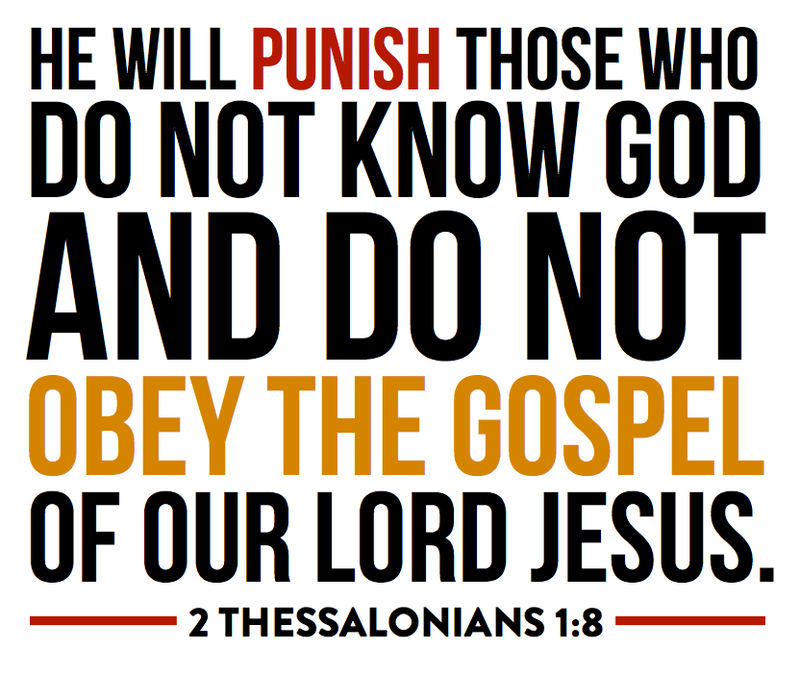 Stop making a mockery of the Great Commission, as if a faith that does not produce obedience is a faith that can save. Wash your hands, you sinners, and purify your hearts, you double-minded! Grieve, mourn and wail! Change your laughter to mourning and your joy to gloom! Humble yourselves before the Lord, and He will lift you up. 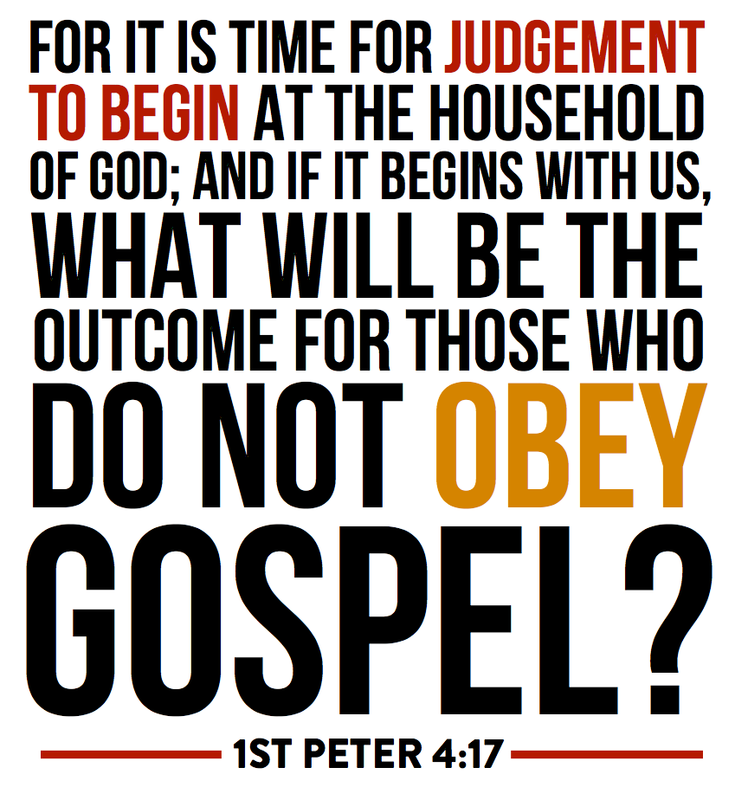 If you seek to obey the Great Commission, do so rightly. Proclaim the unadulterated Gospel of the Lord Jesus Christ. Command faith and repentance. 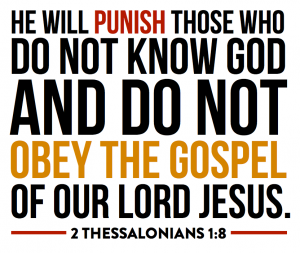 Teach and exhort obedience to all that Christ has commanded. Make disciples that love what God loves, and hate what God hates. Make disciples who desire to seek justice, correct oppression, and take up the cause of the fatherless child who is murdered 3500 times a day in the land of the free and the home of the brave. We will not rest until we have effected the abolition of wanton child sacrifice. The love of Christ compels us. We can do no less. Abolitionists aim to transform this wicked culture and society, by the grace of God, with the Gospel of Jesus the Messiah and His holy law. To all those who repent of the wickedness of their heart, thoughts, and actions, and who put their trust solely in Jesus, the Gospel offers forgiveness, eternal life, and freedom from sin. The Lord Jesus, who chose to leave the glory of Heaven, who came to Earth as an embryo, who grew up clothed in human flesh, who taught truth, love, and grace, who died on the cross at the hands of evil men, and who rose victoriously from the dead on the third day as He had predicted, is the focus of the abolitionist’s life and work. It is out of love for Him that we obey his command to love our neighbor as ourselves. The Word of God declares that all men and women are guilty of sin before God. That all will stand before God to be judged. That God has only one acceptable payment for sin. But not any blood will do. The blood must be acceptable to God. All of mankind finds themselves in a seemingly impossible predicament. We are guilty sinners. The Judge stands ready to execute his judgment. We are unable to render any payment for our crime. But there is Good News! God ALSO loves us … and He has made provision for us through His only Son, Jesus Christ. Jesus Christ is the only way by which men can be saved. 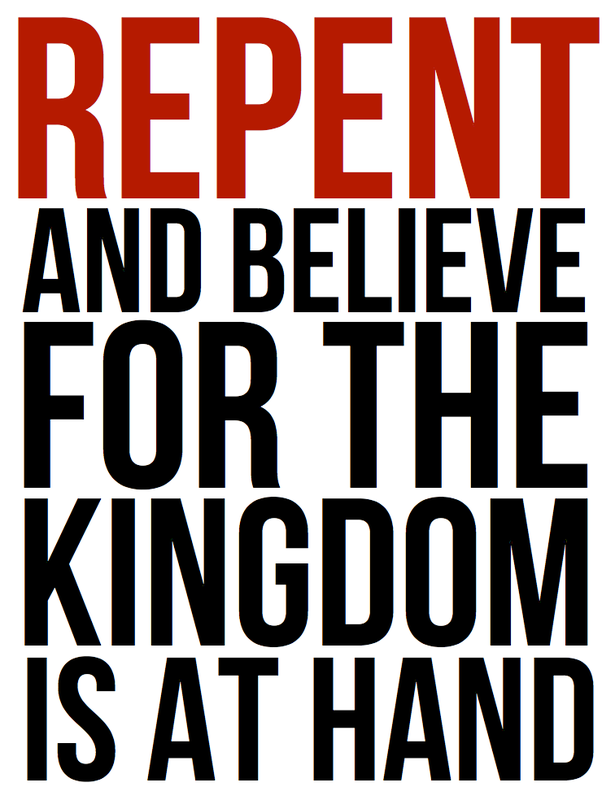 God calls all men to repent and believe on Jesus Christ. This is faith. It is the one act of man that is not a meritorious work. But true faith is always evidenced by works. Upon being born again, believers are indwelt by the Holy Spirit. The Gospel of Jesus Christ saves men from God’s eternal judgment and from sin’s power in their lives today. The Scriptures declare that salvation from eternal judgment comes by faith and that the righteous live by faith in the promises of God. The reality of this good news, the truth of the Gospel, provides the impulse and foundation for all that we do. 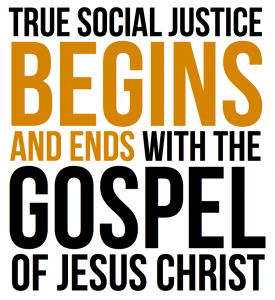 We have been transformed by the Gospel and by it’s truths are compelled and enabled to transform the world we live in. Because of the Grace we have received in Christ Jesus and the power and freedom we now possess in knowing and abiding in Him, we cannot remain silent. As ambassadors of Christ, we implore you to be reconciled to God. If you do not know the Lord, we urge you to repent of your sins and turn to Christ, trust in Him, and be baptized into His Name. Yes, we believe that the going forth of the good news of Jesus Christ as King is the answer to abortion and the key to abolition. There are many people who understand on an intellectual and scientific level that the preborn are humans worthy of protection, and because of that understanding hold a pro-life position right up until they find themselves in a difficult or painful situation, or with a need to cover up sin. Just like there are many people who are opposed to adultery or divorce until their own marriage gets hard enough or painful enough or they meet someone wonderful enough, and suddenly their personal circumstances justify what they once opposed (or in some cases still oppose). 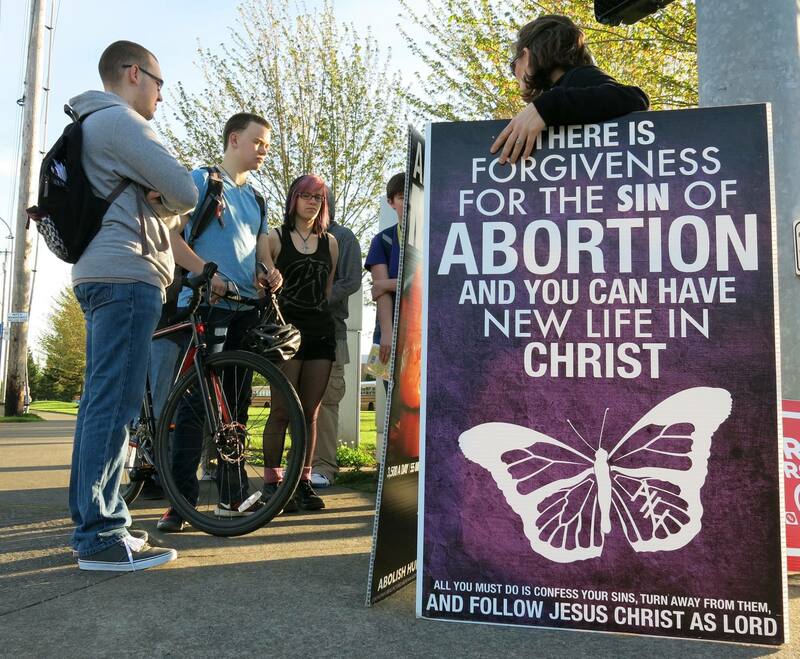 This is why we say not only that abortion is sin, but that the Gospel is the answer to sin. It’s easy to give mental and intellectual assent to an idea you know is correct, but without the transforming power of Jesus Christ, without the grace of God to resist sin and a regenerate heart, your moral compass is at the mercy of your circumstances. The work of abolition is not just about saving babies. It’s taking part in the battle that rages for the souls of men, women, and children, and fighting for righteousness in every arena. Abolitionism is not about a cause, but about serving a King. And Jesus Christ, the King of all, is the answer to not only abortion, but to all the painful, broken, wickedness of the world. As Christian Abolitionists we believe that we are called to go out into the whole world calling every man and every nation to repent and follow Jesus Christ as Lord. This is in contrast to pro-lifers who believe that the call to repentance and gospel of Christ’s Kingdom is to be preached and applied to individuals alone. We believe that nations that practice and protect child sacrifice will be judged by the Living God. We do believe that they can turn to Christ and honor Him as King. 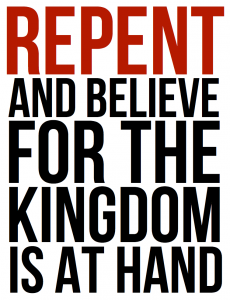 We do believe that the Gospel of the Kingdom of Jesus Christ is the key to reforming society. 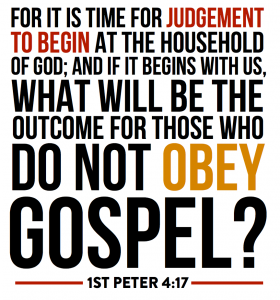 The GOSPEL is THE ANSWER to all sin, individual and national! And we have been commissioned to bring that Gospel into every nation of the world and to announce the triumph of Jesus Christ over sin and death and the coming of the Kingdom of God as we call all men everywhere to repent! This belief in national repentance and the power of the Gospel to remove evils has been central to abolitionism for the past 300 years. We understand that a majority of the people in our nation believe that choosing to believe the Gospel is just a personal private matter and never think twice about what the Gospel has to do with the Nations of this fallen world, and we are fully aware that the Word of God states very clearly that those who embrace worldly wisdom over and above the principles and plan of God will call the Gospel foolish, but to see these views promoted by professing apologists of the Christian faith is deeply troubling. Its not that men like Clinton Wilcox (writer of the statement referenced above) reject the gospel or disbelieve in the Gospel, they just choose to put the Gospel of the Kingdom of Jesus Christ on the back-burner when it comes to grave national evils like child sacrifice because they think it is powerless to affect moral transformation, cultural renewal, revival, or national repentance. The pro-life establishment may choose to believe that the people of God must compromise with national evils and that the Gospel is powerless when it comes to seeking justice and showing mercy in a nation at large, but we have read the Word of God and we know that the Gospel is not just about individuals but nations, and the destruction of every work of darkness. We know and are witness to the ways in which Jesus Christ is making all things new. We are His ambassadors. We are members of His helpmate bride. If we choose to shelve His Gospel when it comes to national sins and the practice of Child Sacrifice, can we really claim to know or believe in Him? The movement to abolish human abortion is born of God and will be part of Christ’s victorious triumph in the world. For we truly believe that Jesus is the Son of God; that He has set us free; that He has conquered death; that he is making all things new and that the victory is already won! By the blood of the lamb and the word of our witness, we are overcoming the world and its darkness. We are not waiting on the rapture or holding pessimistic training seminars while the world goes to hell in a hand-basket. We are going to war! We are not those who shrink back or console one another other with worldly theologies that state there is no promise of success or possibility of abolition. We know that sin and death will remain until the full blown return of our King, but we can and will establish justice for the fatherless in our lands and bring them under the protection of our laws. We will criminalize child sacrifice and put an end to the legal protection and practice of all destructive and dehumanizing practices being cried out against the littlest and least of our neighbors and fellow image bearers. We have plows in our hands, seeds to cast all around us, and we will work as long as the day last. We strive toward our goal in the knowledge that we follow a mighty King! The helpmate bride of Christ is rising up and every day our enemies expose themselves to the growing light. While many still appear to the masses as angels of light seeking to mislead and discourage the saints, they will not get very far. There is a remnant of true believers in this land and we have the Word of God and the Holy Spirit to guide us. The Son of God has gone to war! He leads His people to the gates of the dragon’s lairs and fortifies them as they tear down the speculations and high places which protect them and call out the dim-light buildings in the valleys bellow them who tolerate their constant demonic slaughter. All around us there are people telling those who would take up the battle cry “Abolish Human Abortion!” to settle down, get the best that they can get, and to just doing what they have been doing for the past 40 years. Yet our numbers are ever growing and even the losses we incur as a result of these meddling and divisive spirits only strengthen our fellowship and resolve. On behalf of the weak, and in the name of Jesus Christ, we will overcome. We carry HIS banner and trust in HIS Might. Of course we will win! The people who walked in darkness have seen a great light; those who dwelt in a land of deep darkness, on them has light shone. You have multiplied the nation; you have increased its joy; they rejoice before you as with joy at the harvest, as they are glad when they divide the spoil. For the yoke of his burden, and the staff for his shoulder, the rod of his oppressor, you have broken as on the day of Midian. For every boot of the tramping warrior in battle tumult and every garment rolled in blood will be burned as fuel for the fire. For to us a child is born, to us a son is given; and the government shall be upon his shoulder, and his name shall be called Wonderful Counselor, Mighty God, Everlasting Father, Prince of Peace. Of the increase of his government and of peace there will be no end, on the throne of David and over his kingdom, to establish it and to uphold it with justice and with righteousness from this time forth and forevermore. The zeal of the Lord of hosts will do this. Isaiah 9:2-7.